I am OCD about scouring the planet for amazing kid's products for my little ones! So I was just in Toronto for a few days with my hubby and we had a chance to do a little shopping!!! I didn’t have time to check out too many stores but I did find a few great things for my little one. I found a great store at 8 Price Street called “Advice from a Caterpillar”. I love this store! It’s like crack for a shopping addict like myself! Although it is on the pricier side I grabbed a few “treats”. In my suitcase home was a Bon Ton undershirt and pant set, a shirt and hoodie by Petit Bateau, a shirt by L’Esprit de Luna, and a sweater by Album di Famiglia. This store was full of amazing finds that, although were expensive, were too good to leave. The great thing about Advice from a Caterpillar is that they are just about to launch an online store! This means all their amazing threads will be available Canada-wide for all our little munchkins 🙂 They also carry one of my favourite brands that I haven’t been able to find in Canada since my first son was born 8 years ago, Finger in the Nose. Bon Ton undershirt/pant set and Album di Famiglia sweater. 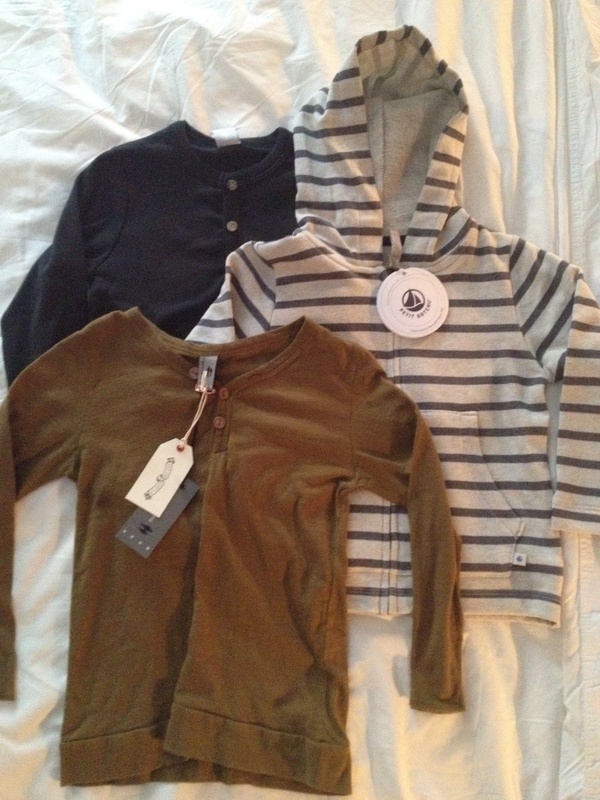 L’Esprit de Luna shirt (brown) and Petit Bateau shirt and hoodie.